Lock in a great price for The Atlas Station – rated 8.7 by recent guests! Very nice staff. They serve you breakfast like serving a family member. It was also clean. Great place for budget travel. Location is very good. MRT is close. Front end staff are excellent people. This place was fantastic! 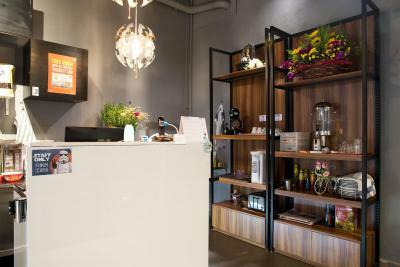 It was clean, quiet, and the staff were very friendly. Breakfast was always good and the location wasn't bad at all. 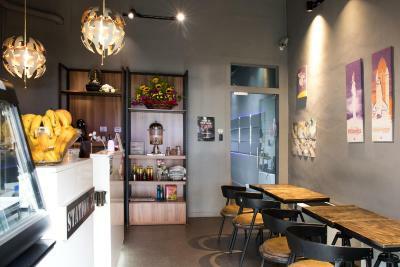 It’s easy to access from Farrer Park MRT exit B. Just go straight then you’ll find the place. Walking distance to Mustafa. We arrive around 12 here and they allowed us for early check in. The uncle made me a toast before the breakfast time and told me that his boss will make special breakfast so I could “tambah lagi” 😊. And yes, his boss prepared various croissant and offer me another breakfast. Yeayy! The room, the bedsheet, the towel was clean. Air conditioner is also good. 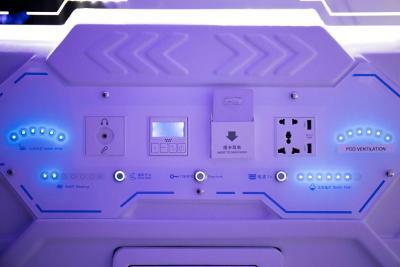 The pod also equipped with mini safety box beside the locker. Boiled water is provided in the lobby 24 hour. 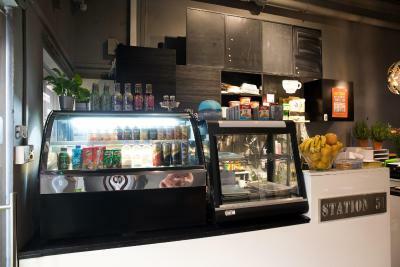 Very friendly and helpful staff, very clean, close to the station. 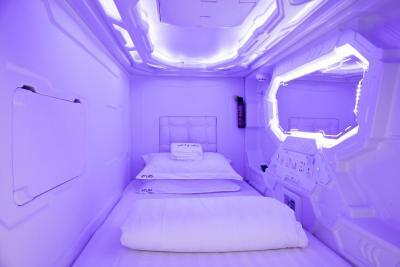 And it was really cozy to sleep in a pod. 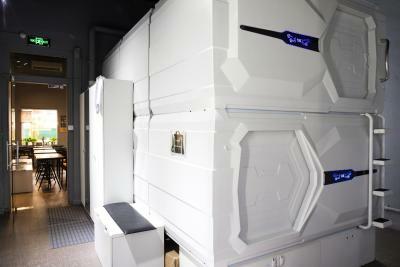 It was my first stay in a pod and I was fascinated. 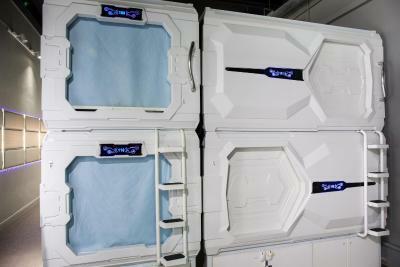 Although you live in a shared room, you have your privacy in a pod. Very recomended. The staff was great! Very helpful and understanding. 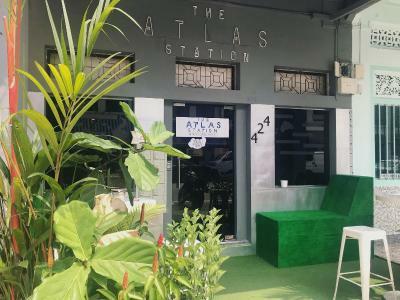 The Atlas Station This rating is a reflection of how the property compares to the industry standard when it comes to price, facilities and services available. It's based on a self-evaluation by the property. Use this rating to help choose your stay! 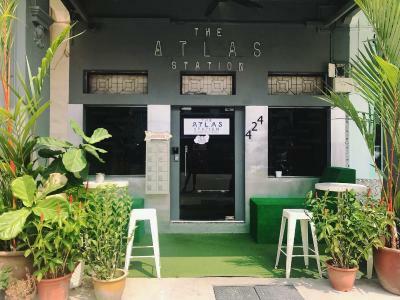 The Atlas Station provides accommodations in Singapore. 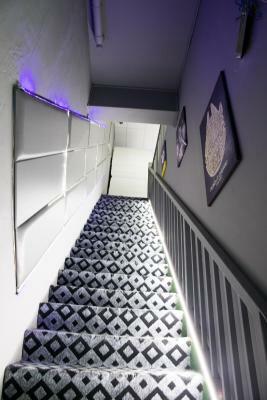 Located around 2,300 feet from Mustafa Center, the hostel offers free WiFi. The property is located in the Lavender district. A continental, à la carte or Asian breakfast can be enjoyed at the property. 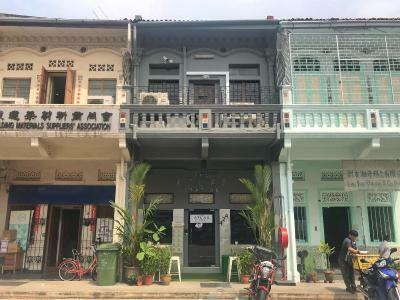 Popular points of interest near the hostel include Bugis Street, Kwan Im Thong Hood Cho Temple and United Square Shopping Mall. 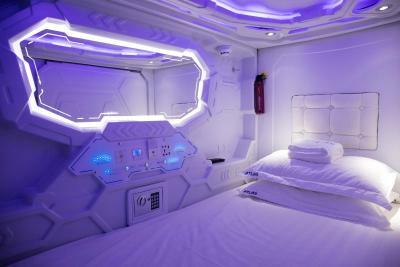 When would you like to stay at The Atlas Station? Area Info – This neighborhood is a great choice for travelers interested in Universal Studios, convenient public transportation and tourist attractions – Check location Great location - show map Guests loved walking around the neighborhood! House Rules The Atlas Station takes special requests – add in the next step! The Atlas Station accepts these cards and reserves the right to temporarily hold an amount prior to arrival. Please inform The Atlas Station of your expected arrival time in advance. You can use the Special Requests box when booking, or contact the property directly using the contact details in your confirmation. 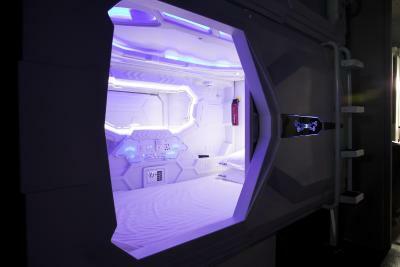 Air con was kinda too cold in the main area (in the capsule was okay). 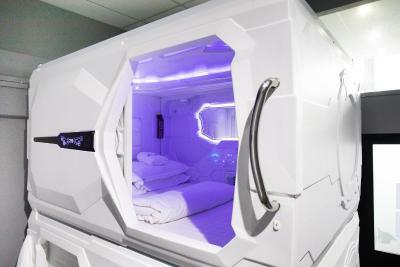 Was the first time sleeping in a capsule and I was very impressed, because you have really privacy in comparison to a normal hostel. Pods move a little when people get in and out but better than bunks at a hostel. Bring your earplugs. Top pod when coming in on a late flight was a bit challenging too. 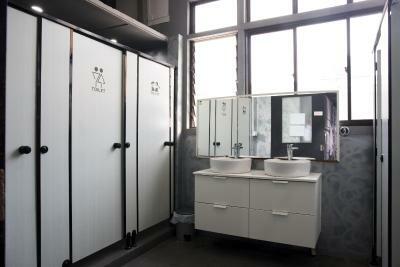 Pods were comfortable, had usb ports to charge, cool temp, bathrooms were clean and nice showers. Free tea coffee and cereal and easy late night check in. 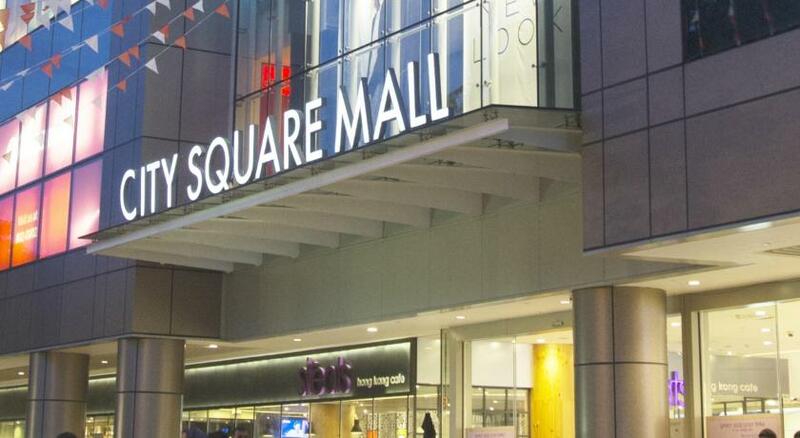 Also great location close.to Little India. Definitely recommend for short stay. 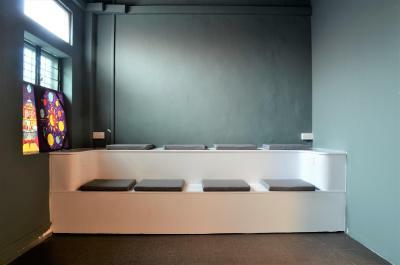 The cleanliness of the place and the helpfulness of the staff! 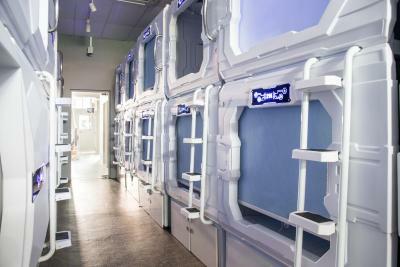 It wasn’t the best capsule hotel I’ve been to, but given the price and location I believe this is a great place! Price seems to be higher for a pod. 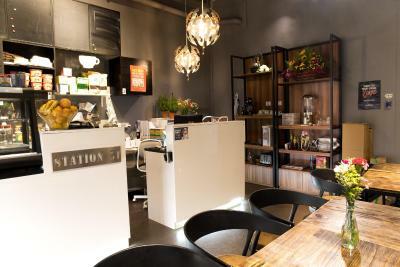 The staffs were very friendly and the breakfast was great. I stayed for eight days last year. This year, I stayed for 13 days. As always, the accommodation that suits me is clear. Various nationalities, races and cultures? You can experience something. It's good to use the subway just a short walk away. 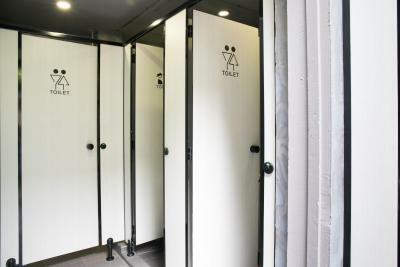 If you value personal privacy, I think other accommodation is good. 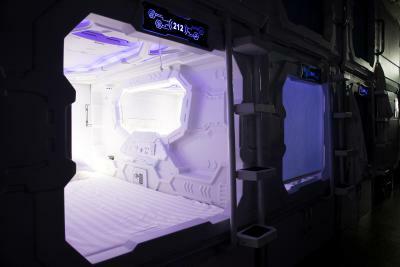 - Reading light of my pod was broken at the first day, so there was a little dark in my pod. - There is no hot water in the bathroom. -My breakfast only have one piece of meat but others have three pieces......I don't know why.... - If you sleep in the upper bunk, the stairs are hard to walk. - The blanket is a little dirty. - I have my own space. - Staff are very helpful. 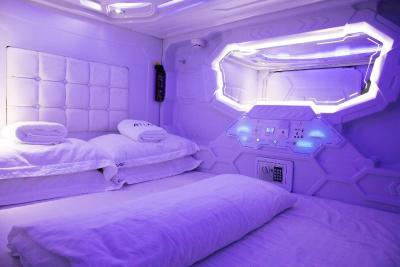 the best thing for me was the beautiful white cubes :D sleeping in a space maschine was the best experience at all. I will definitely stay there again when I come back! 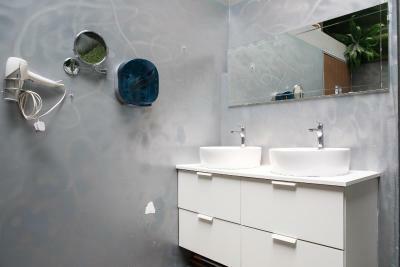 The staff was very helpful, shared places nice and clean. thank you very much! Staff super friendly and accommodating. 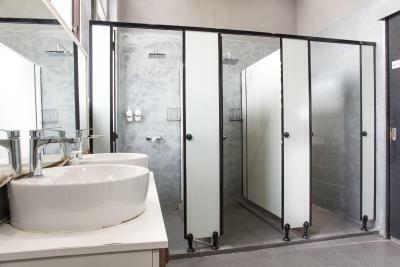 Require maintenance and cleanliness. Based on reviews I was looking for that “DELICIOUS” breakfast, but it was very simple and average quality. 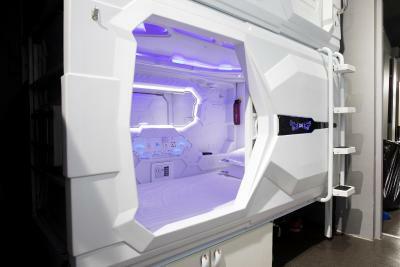 The TV inside the pod was unable to use since was stocked. The pod I was allocated was next to the reading room. When it was occupied in the middle of the night, the light shone into my pod. 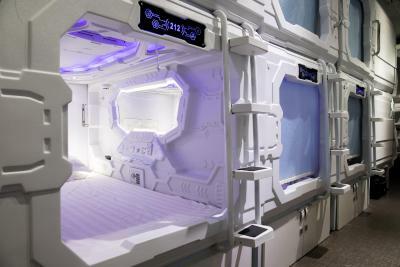 It did feel a bit crammed-in, but that's fine as it's a space-themed hostel, and I imagine hostels in space would be at a disadvantage in square footage. 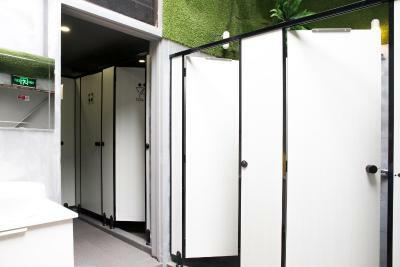 The bathrooms were fine, average nicer hostel style. 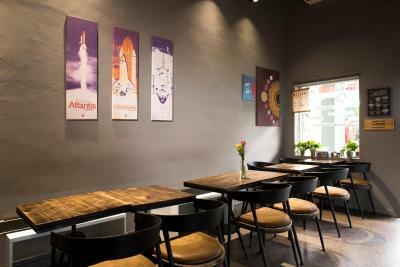 The biggest downside was the price - it's quite expensive for a hostel, even a nice one. This was a bit of a novelty in concept, but the place was actually quite nice. The breakfast was fantastic; they really over-delivered there. 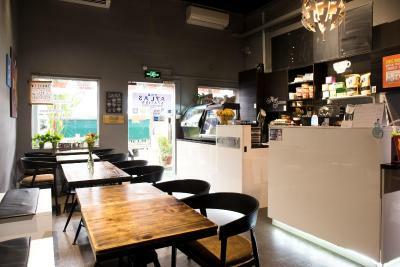 It's near Little India with loads of great places to eat and a nice location to wander from. Metro is like a 5 minute walk, which is nice. The design of the place is great overall, and I love the pods! I got the "superior" side entrance one, and it was worth it. 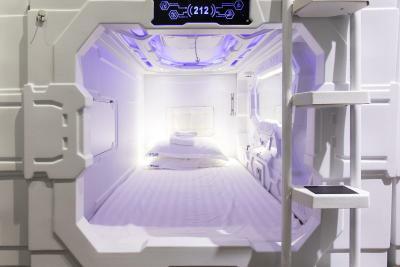 The pods are super cool and cozy - I was worried about feeling claustrophobic but it wasn't like that at all, and I'm 2 meters tall. Breakfast was great! Lady at the reception was very kind and caring.